Potentially life-threatening myeloid neoplasms have been induced by treatment for autoimmune disease. Potentially life-threatening myeloid neoplasms induced by treatment for autoimmune disease are an emerging clinical phenomenon. To better understand the relationship between treatment for autoimmune disorder and risk of myeloid neoplasms, investigators retrospectively analyzed data from 40,011 patients with a primary autoimmune disease treated at 2 centers between 2004 and 2014. Of those, 311 patients had a concomitant diagnosis of MDS or AML. Among the 86 patients who met the inclusion criteria and ultimately included in the case-control study, 57% were male, 64.0% had MDS, 24.4% had de novo AML, and 11.6% had AML and a history of MDS. 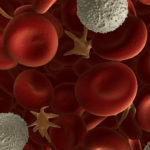 In addition, 26.7%, 20.9%, and 14.0% had rheumatoid arthritis, psoriasis, and systemic lupus erythematosus, respectively. Median time from onset of autoimmune disease to myeloid neoplasm diagnosis was 8 years. Investigators found that 66.3% of patients with a myeloid neoplasm had received a cytotoxic or an immunomdulating agent vs 61.0% of the 172 controls (P = .50). 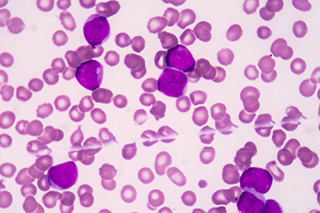 Results showed that patients treated with azathioprine sodium had a 7-fold higher risk for developing a myeloid neoplasm compared with controls (odds ratio [OR], 7.05; 95% CI, 2.35-21.13; P < .001). However, there was no significant association between cyclophosphamide (OR, 2.73; 95% CI, 0.23-33.0), methotrexate sodium (OR, 0.60; 95% CI, 0.29-1.22), mercaptopurine (OR, 0.62; 95% CI, 0.15-2.53), or mycophenolate mofetil hydrochloride use (OR, 0.66; 95% CI, 0.21-2.03) and the development of AML or MDS. Investigators also observed no association between antitumor necrosis factor agents like infliximab, adalimumab, or etanercept and myeloid neoplasm, nor was there an association between length of drug exposure and the development of AML or MDS.